​Before receiving a master’s degree in journalism at the University of Arizona, Relly interviewed hundreds, possibly even thousands of people about food for a nutrition-related career. After discovering she loved writing about people, she turned to the UA to learn more about journalism and became a freelancer. Relly wrote about topics on poverty in Virginia, super max prisons, human trafficking, and environmental and drug problems in the Caribbean. 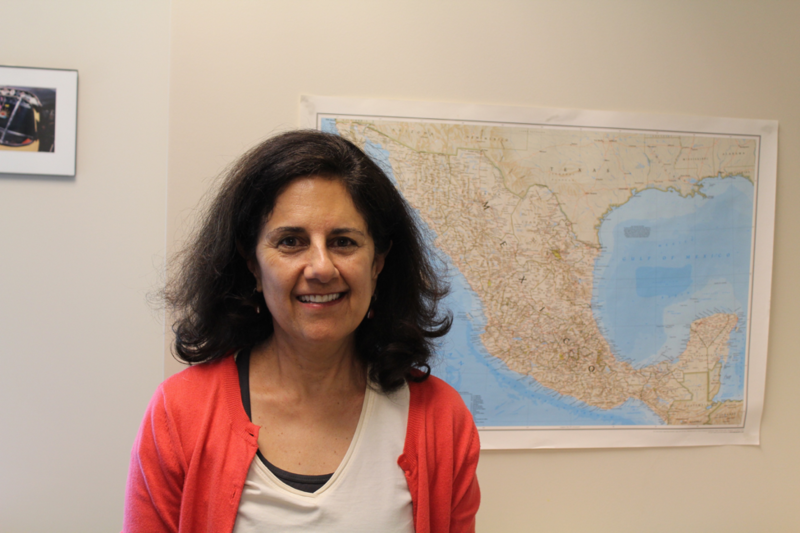 Relly has travelled to many countries for journalistic and academic research purposes, including Mexico, Afghanistan and most recently, India. While in India, she did academic research on civil society, social activists, public act ration cards, and other issues going on in the country. While living at the Yuma Residence Hall in the University of Arizona, I have found the campus to be very lovely and have fallen in love with it. All of the buildings showcase red bricks in some way, bringing the whole campus together and providing an eye-catching outcome. There are beautiful plants all over the area with cool colors that are an appealing contrast from the warm colored buildings including trees, flowers, and the desert’s very own cacti. The only thing that worries me is that it is very big and I’m bound to get lost here one day, but I know that I can enjoy the scenery around me wherever I end up. ​On Tuesday, we went out with herpetologist Cecil Schwalbe to learn what to do when encountering a snake. It was a new experience for me because I did not take interest in snakes beforehand. We used metal tongs to pick up a rattlesnake and put it in a trash can, and I was kind of nervous because I thought it would eat me if it escaped. Luckily, we all survived the experience. 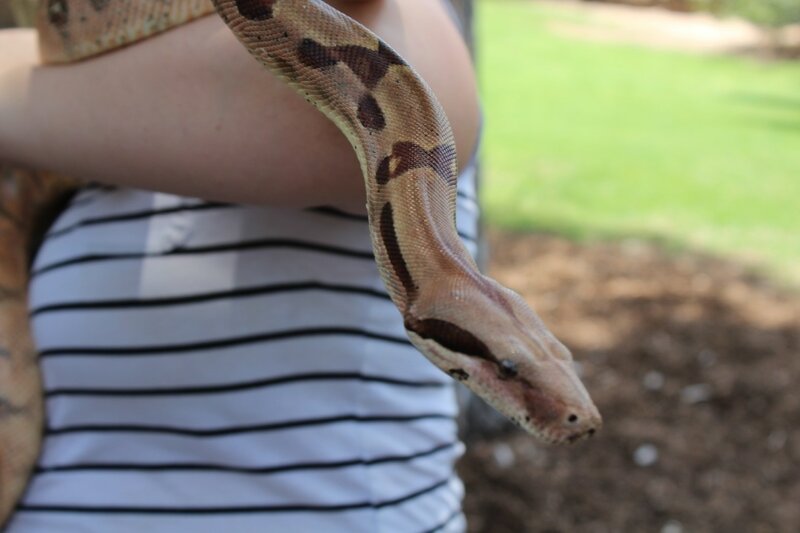 Afterwards, we got the opportunity to hold two non-native snakes and they were super cute! I never knew their names, but I’m pretty sure I became good friends with both of them. 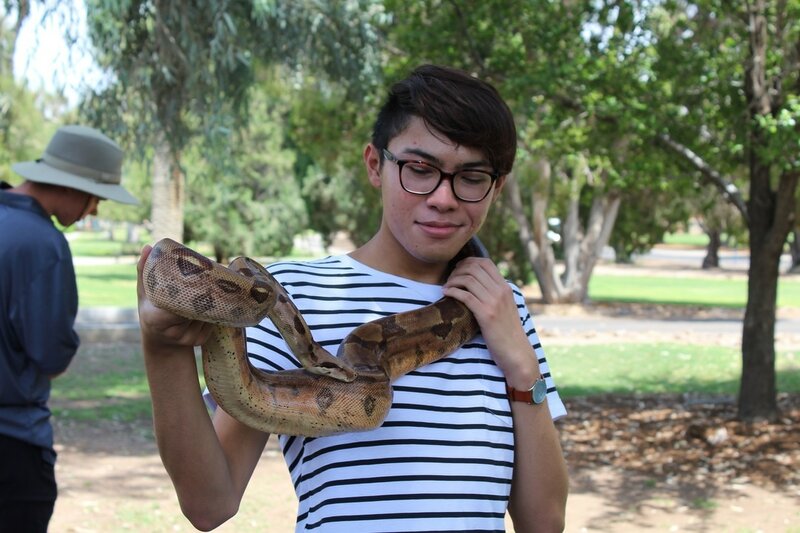 Now, I have a newfound love for snakes and I hope to get one of my own in the future. 16, attends Cienega High School and enjoys watching the Great British Baking Show.